‘Dragon Ball’ may be a Japanese-born anime, but the series has become a major pop culture influencer for years. Rappers sprinkle references in their rhymes, athletes channel the character’s super powers when making big plays and the franchise’s star even made a towering appearance at November’s Macy’s Thanksgiving Day Parade. That influence stateside is likely to grow Wednesday with the theatrical release of ‘Dragon Ball Super: Broly’, the 20th film in the ‘Dragon Ball’ franchise that spans video games, six animated spin-offs and more than 500 television episodes. It all started in 1984 when Akira Toriyama created the best-selling comic book series, known as a manga in Japan. “I’ve been a fan for so long, and I know a lot of others are too. It’s like a cult following,” said De’Aaron Fox, the 21-year-old Sacramento Kings guard who owns a pair of Dragon Ball Z-themed basketball shoes. Chicago Bulls forward Lauri Markkanen and Golden State Warriors player Jordan Bell are also fans of the anime who have worn custom Dragon Ball-themed shoes in games. Many have followed ‘Dragon Ball’ since they were kids, and the more famous fans incorporated it into their work, too. Chris Brown posted an image on social media of a Dragon Ball tattooed on his leg and Goku’s face painted on a red Lamborghini. Chance the Rapper has mentioned the anime in two songs. Before a wrestling match, Ronda Rousey wore a shirt with her favourite character and “cartoon crush” Vegeta, the prince of the Saiyans who is an ally of Goku. The self-professed ‘Dragon Ball’ experts practised the dance during training camp on HBO’s ‘Hard Knocks’. Artist Jake Merten has created several murals dedicated to ‘Dragon Ball’ characters in several cities including Los Angeles, Chicago, Kansas City and Denver and plans to create a new one to celebrate “Dragon Ball: Broly” this week in LA. The ‘Dragon Ball’ franchise has been criticised for sometimes having flawed animations and story inconsistencies between its anime and manga. But Sean Schemmel, who has voiced Goku in the English version since 1999, said ‘Dragon Ball’ will stack up better than other animes. Other popular ones include ‘One Piece’, ‘Naruto’, ‘Case Closed’ and ‘Golgo 13’. 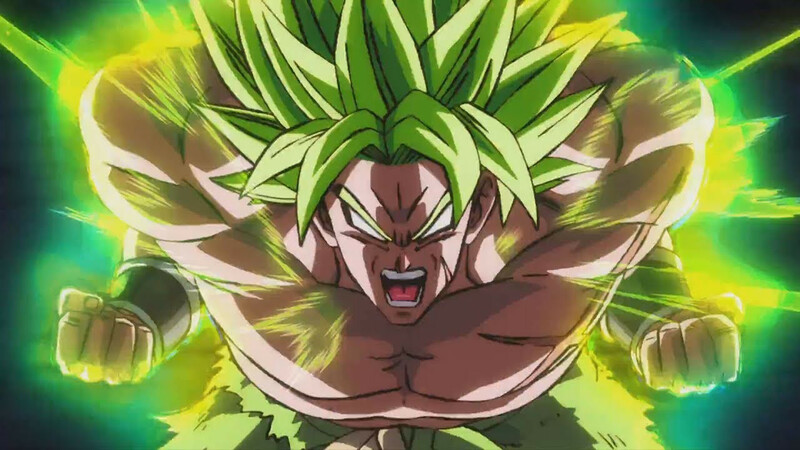 ‘Dragon Ball Super: Broly’ releases in the UAE on January 24.